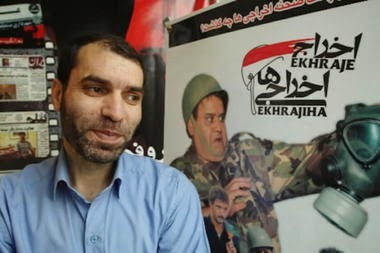 Christian Science Monitor’s Scott Peterson writes from Tehran that a new movie about the Iran-Iraq war, “The Ascendants,” by Iran’s film director and a former leader of hardline Ansar-e Hezbollah vigilante group Massoud Dehnamaki, has broken box office records, grossing $1.5 million since late March. What makes the movie intriguing is its nuanced view of the war in which Dehnamaki fought. https://www.youtube.com/watch?v=eksJbdgTJIY --- Iran gave up in 1988 following major Iraqi victories on the fields of battle. I applaud Mr Dehnamaki for having the courage to throw the spotlight on the perpetuated myth of "The Holy Defense".